In the world of soup dumplings, Din Tai Fung(arguably) reins supreme in our world. However, that doesn’t mean there aren’t other good stuff out in the non-Din Tai Fung world, especially in a food craze town such as Taipei. 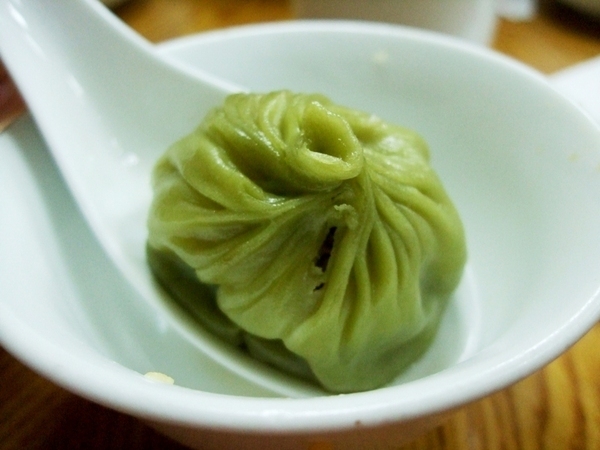 When it comes to soup dumplings, we have probably seen it all. From truffle infused dumplings to dumplings that span the colors of the rainbow, why always settle for the classic when there are so much out there(although we won’t blame you if you elect not to). For days that you feel like being a rebel and decide to go commando, we got the perfect soup dumplings for you and your pants. 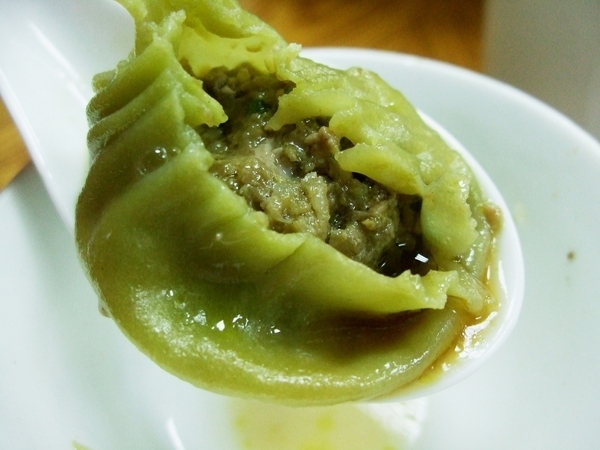 Situated in the Songshan district in Taipei, 京鼎小館(Jing Ding Xiao Guan) was founded by a former Din Tai Fung chef. 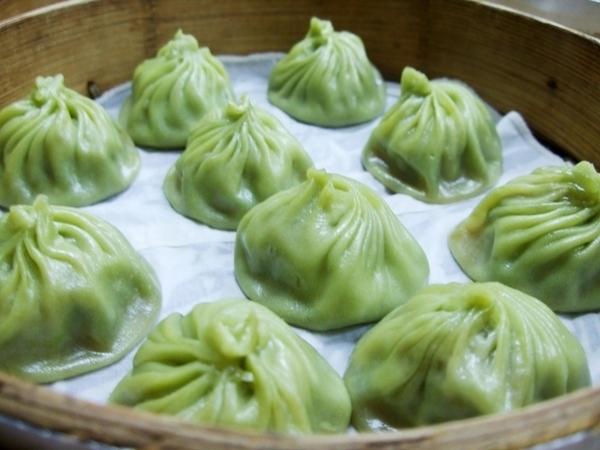 Since opening, Jing Ding Xiao Guan has taken on the personality of its founder and flipped the soup dumpling world upside down with its oolong tea infused soup dumplings with glimmering green dumpling skin. To no one’s surprise, patrons have commented that the regular non oolong tea dishes tastes just like the stuff over at Din Tai Fung. However, we are much more interested in the green concoction that is taking the internet by storm. Thanks to Flying Attitude’s pixnet blog for providing some pretty awesome pictures. Eaters have commented that there is a real strong oolong tea flavor in the skin. Not the really bitter tea, but just enough tea taste to kick you in the seat of the pants. So if you are in Taipei, check these guys out. If not for the green oolong tea dumplings, but at least for the Din Tai Fung inspired dishes like fried rice and other assortments of soup dumplings. But do get there early, as these guys fill up fast.